This week we feature Maryanne Heald, an EMT-certified guide who’s been here in Phoenix for five years. Maryanne is originally from the Pacific Northwest and spent time backpacking, hiking, and rock climbing across the United States before settling in Phoenix to work as an outdoor guide. Maryanne is an avid mountain biker, road cyclist, and hiker who, even when she’s not on the clock as a guide, is probably outdoors anyway just enjoying all the desert has to offer. Where is the one spot around Phoenix that you think is a good representation of the Sonoran Desert? 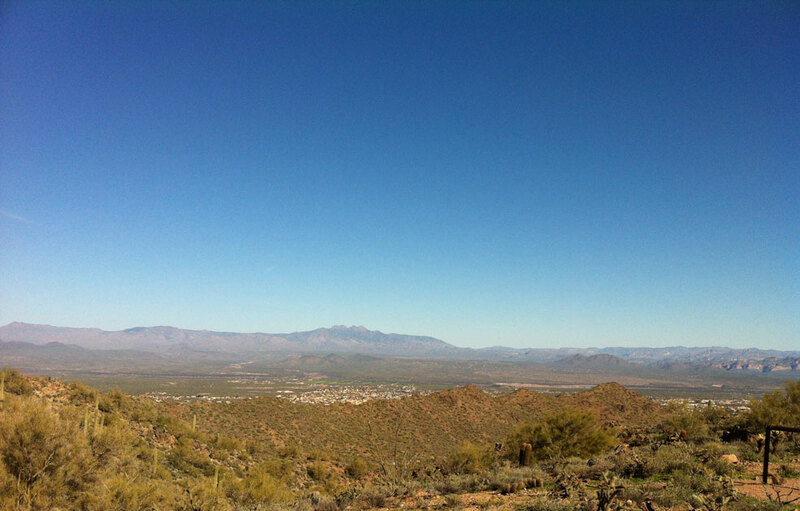 The Cave Creek Regional Park. It is a beautiful place to hike, mountain bike or horseback ride and it always feels like you have the trails to yourself. The Saguaro cactus grow so thick there it’s like a cactus forest. Depending on which trail you’re on, there are views in every direction. It’s also a popular site for hot air balloon tours. One of my favorite ways to explore is on foot because I like to look for interesting plants and animals. Hiking allows you to notice things you might miss otherwise and I am always trying to spot cool lizards, tortoises, and snakes. I love riding my bike, though, whether on the road or mountain biking the great trails around Phoenix. There are so many trails around Phoenix that lead to amazing views, but my favorite is the Sunrise trail on the south side of the McDowell Sonoran Preserve. It really is unbeatable if you go early enough to see the sun come up behind Four Peaks. What’s the best way to cool off on a warm desert day? Creek-side hikes like Sycamore Creek off Highway 87 or Seven Springs in the Tonto National Forest just north of Phoenix. It’s great to be able to hike along, in and out of water on warm desert afternoons. After a weekend bike ride, I tend to make a beeline for the nearest pool. 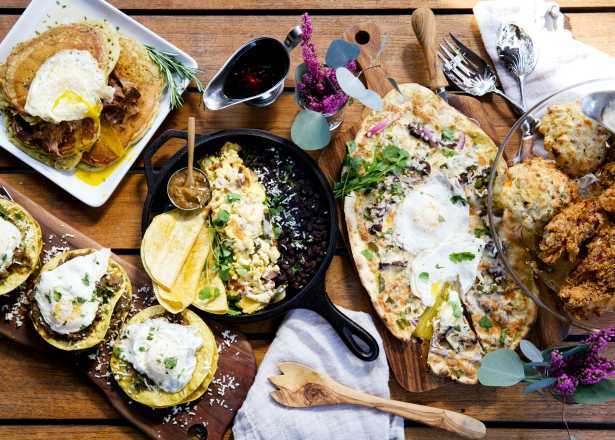 One of my favorite Saturday morning bike rides is the climb to the top of South Mountain and I like to top it off with breakfast at the Farm at South Mountain. It really feels like being on a farm, you can eat delicious home-cooked food while sitting on a shady lawn. It makes for the perfect weekend morning. Up north in the McDowell Sonoran Preserve near Tom’s Thumb there is a cave that some people refer to as the “hermit’s cave.” It is a natural cave but someone has set it up to look like it’s lived in, there’s a journal on the hermit’s desk that hikers like to stop and sign. About five years now. 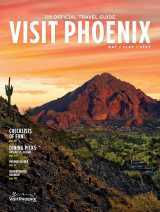 I grew up in the Northwest but my mom used to have a subscription to Arizona Highways magazine and I’d always read it wish that I could come here. As soon as I visited Arizona I fell in love with the desert and guiding here. I make a point of reading as much as I can about the plants, animals, and geology to share with people when I guide. I like to talk about the reptiles that live around here because people are often over concerned about snakes. 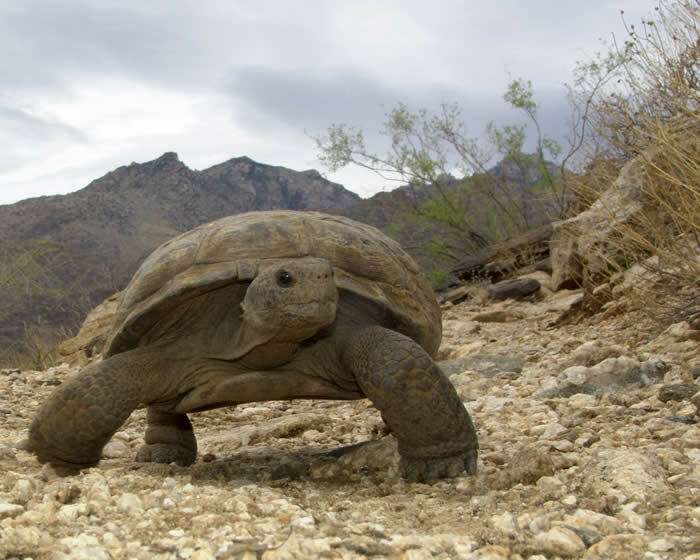 The reptile that I love talking about the most is the Sonoran desert tortoise. They are pretty rare so you are quite lucky to see one out on the trail. We often stop at the visitor center and take a look at the resident tortoise there while on mountain biking tours in the McDowell Mountain Regional Park. They can live close to 50 years! You say that people are sometimes over-concerned about rattlesnakes. If not snakes, what would you caution visitors to the desert about? The thing with snakes is that most just want to get away from humans as quickly as they can and they don’t pose a huge threat if you are cautious. Things like sunburn, dehydration and cactus often cause more grief if you’re not careful. 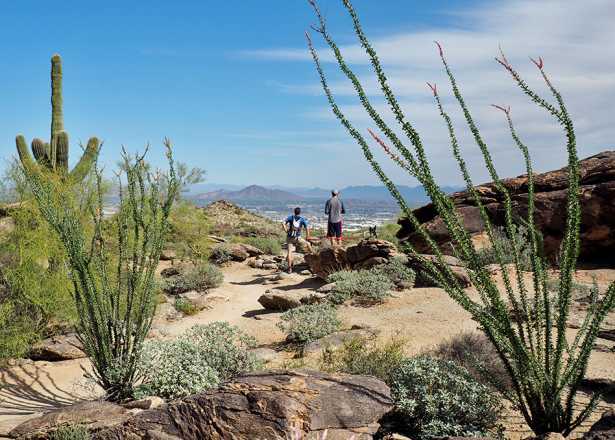 Do you need to be really physically fit to explore the outdoors around Phoenix? Phoenix has so much to offer. There are so many parks and preserves that it’s easy to find a way for every person to enjoy the desert no matter your limitations. 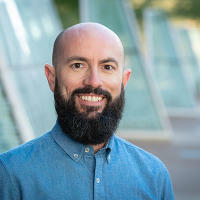 That might mean rock climbing some of the challenging routes near Queen Creek, it could be picnicking at Papago Park, or maybe it’s simply visiting the Desert Botanical Garden. All are wonderful ways to spend time outdoors in the desert. 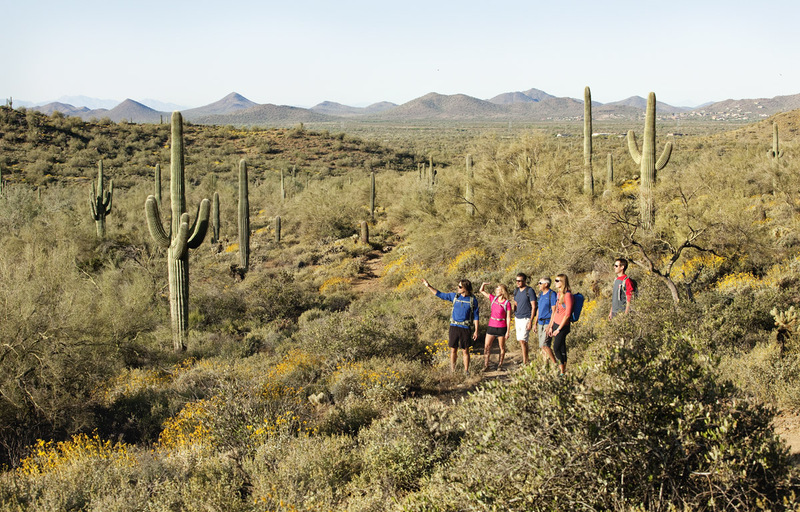 When you want to get outside of Phoenix to see something different, where do you head for your outdoor activities? If you head north of Phoenix just a short ways to Black Canyon City, there are some incredible mountain biking trails in the Bradshaw Mountains that are often overlooked. If you’re willing to drive a bit further, Prescott and Sedona both have world-class mountain biking routes that are a nice change when the weather heats up in Phoenix. People seem to relax a bit more than normal when they have a guide, and that’s a great thing. 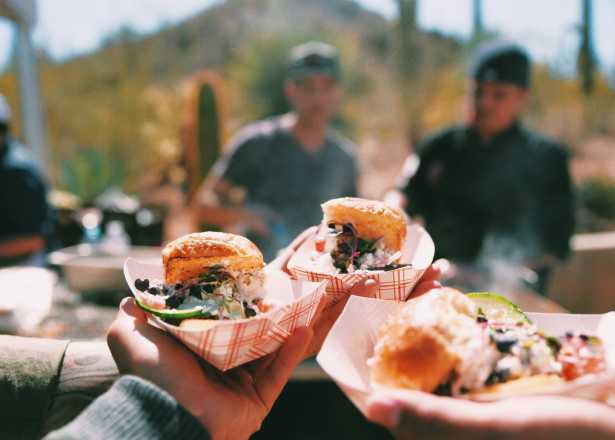 Planning something outdoors in the desert when you are unfamiliar with the area can be quite stressful and that’s the last thing you want if you’re on vacation. Having a guide eliminates a lot of that. Guides add a lot of fun local knowledge to the experience and people are often surprised they learn so much. It’s great to see how people react to the desert. 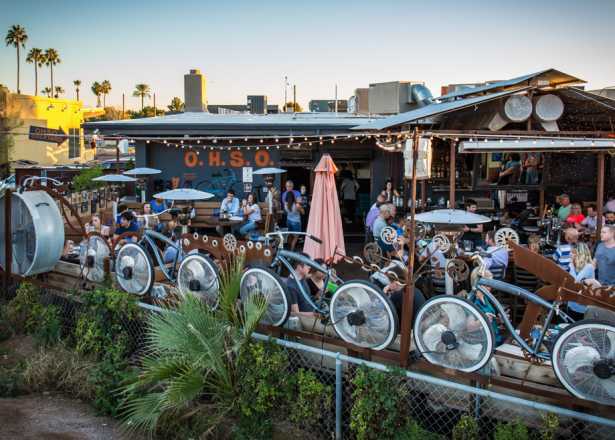 Visitors to Phoenix often don’t know what to expect before they come here and it makes me very happy to see them appreciating this place I’ve come to know and love. Sometimes I have local residents on a tour who come with visiting friends or family and they are often surprised and excited when they learn unexpected new things.